Our physiotherapists have experience with the majority of conditions seen in private practice. Zoltan joined Charlestown Physio in 2006. In 2012 he advanced to become the sole owner and director of the practice. He graduated in 1998 from the University of Sydney. 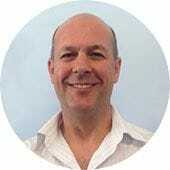 He gained extensive knowledge and clinical expertise working for the Australian Military and as senior physiotherapist at the Newcastle Industrial plant OneSteel for five and a half years. This exposure to a large variety of neuromuscular conditions, traumatic and sporting injuries developed his keen passion for treating a wide range of injuries and provided him with a greater insight into the importance of return to full function. He has also established a reputation with local specialists and doctors for his successful rehabilitation of shoulder injuries. Another area of his expertise is Vestibular Rehabilitation which addresses the symptoms of dizziness and vertigo. Ruth uses Nordic techniques to mobilise the spine and limbs. Nordic manual therapy is based on osteopathic and muscle energy principles. She has been an examiner for both undergraduate and Masters students at Newcastle and Charles Sturt universities. She has extensive experience In Women's health and was one of the first physiotherapists in Australia to treat incontinence. She has helped to conduct continence workshops to train other physiotherapists. Olivia graduated from her Masters degree in 2011. She specialises in the prescription of tailored exercise and lifestyle programs for the rehabilitation, management and prevention of chronic diseases and musculoskeletal injuries. Conditions include: diabetes, cancer, arthritis, depression, cardiovascular disease and many more. She also specialises in behavioural change strategies, especially for those needing motivation to lead an active and healthy lifestyle. Olivia has a vast range of experience, working in hospitals, private practice and corporate health. Since moving to Australia in 2013, she has built an excellent reputation for her knowledge, work ethic and bubbly personality. Fiona Johnson graduated in 2007 with a Masters in Physiotherapy in Queensland after completing a Bachelor of Exercise Science in 2005 and quickly developed a passion for movement based rehabilitation. 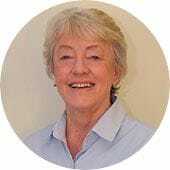 Fiona has worked extensively in both the public and private hospital sectors and in private practice resulting in a strong interest in thoracic and pelvic pain. Fiona began teaching combined Pilates and Core classes with a leading physiotherapy pain management clinic in 2013 (The Fix Program) concentrating on women's health. Fiona's trained skills in Muscle Energy Technique and Exercise Science serve as invaluable tools to achieve optimal outcomes for individuals with acute and/or chronic pain through re-patterning and facilitation of core and lumbo-pelvic musculature. Fiona has received extensive training to develop her manual therapy techniques for treatment of back, neck and pelvic pain under the expertise and tutelage of Dr. Barbara Hungerford. Additionally, exploration of Visceral Manipulation (VM) in the last 4 years has added additional layers to Fiona's assessments and treatments. More recently, Fiona spent time with a leading sports physiotherapy clinic in Sydney with links to secondary school rowing, gymnastics and athletics. Her passion is to awaken connection between the body and the mind- helping individuals attune and attend to their own physical, mental, emotional and energetic realms.